Beginning on March 8, International Women’s Day, the Museum of Fine Arts, Boston and Massachusetts College of Art and Design are partnering to host "How We See: Photobooks by Women," a touring pop-up reading room that invites visitors to browse 100 books by a global selection of contemporary female photographers. 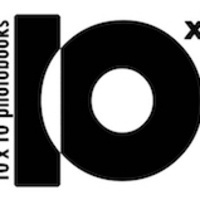 Organized by 10x10 Photobooks, a nonprofit based in New York City, the showcase will be at the MFA through March 10, and then at MassArt from March 19-21. The reading room’s 100 photobooks were selected by 10 specialists from around the world, who worked both individually and in teams and focused on photographers from their respective regions. Artists featured in the project include Laia Abril, Ying Ang, Olivia Arthur, Sophie Calle, Xiaoyi Chen, Zoe Croggon, Cristina de Middel, Laura El-Tantawy, Abigail Heyman, Hannah Höch, Dragana Jurišić, Kristina Jurotschkin, Pixy Liao, Susan Meiselas, Lucia Moholy, Zanele Muholi, Yurie Nagashima, Catherine Opie, Maya Rochat, Guadalupe Ruiz, Eva Saukane, Collier Schorr, Ketaki Sheth, Lieko Shiga, Dayanita Singh, Mitra Tabrizian and Carrie Mae Weems, among many others. From the 19th through the 21st, visitors can experience 15-minute Spotlight talks by a variety of speakers focusing on a single book. More information available at 10x10photobooks.org/how-we-see.